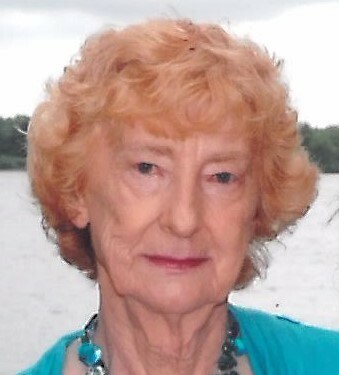 Joan Zynda, age 83, previously of Stevens Point passed away December 2, 2017 at her daughters home in Wisconsin Rapids, she was surrounded by her loving family, and under the care of Heartland Hospice. Private family services will be held, Shuda Funeral Services is honored to assist the family. Joan was born July 24, 1934, in Stevens Point the daughter of Albert and Eva (Redford) Zdroik. She graduated from St. Peters middle school and from Maria High School. Joan married Basil Zynda on November 16, 1953. She worked at various retail grocery outlets in the area until her retirement. Joan enjoyed reading, gardening, gambling, playing games on her computer, and was an avid Wisconsin Badger and Green Bay Packer fan. Joan is survived by her children Kenny (Nettie) Zynda, Stevens Point; Karen Zynda, WI Rapids; Kevin (Niki) Zynda, South Carolina, and Kelly (Mark) Heberlein, Stevens Point. She is also survived by 10 grandchildren, 14 great grandchildren and 5 great-great grandchildren. Her brothers; Richard (Kathy) Zdroik, Mercer; Danial (Pat) Zdroik, New Jersey; Raymand (Carol) Zdroik, and Albert Zdroik, both of Stevens Point and her sister; Marie (Ray) Firkus, North Carolina. Joan was preceded in death by her parents, husband, Basil, her son, Keith, her brother, David Zdroik and her son-in-law Mark Heberlein.